Flowers delight Jennifer Evans. She designed these lovely, delicate stencils in homage to spring and summer. 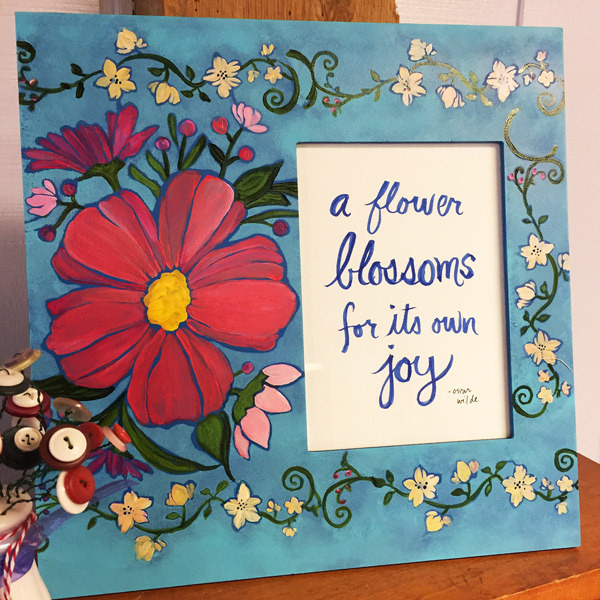 The 9" x 12" features a large flower at the center with floral sprays within a leaf frame, the mini 4"x 4" is a leaf motif (perfect for repeating a background), and the 6" x 6" is a cluster of posies. These stencils are available exclusively to members of StencilGirl's StencilClub. Want to open your mailbox and find Serendipity Florals? Sign up for StencilClub by April 15, 2017 and we'll send them to you. Reading this after 4-15-17 and you still want Serendipity Florals? Never fear! StencilClub members can order past club stencils as well as access associated project videos and PDFs. Get the details and sign up HERE. 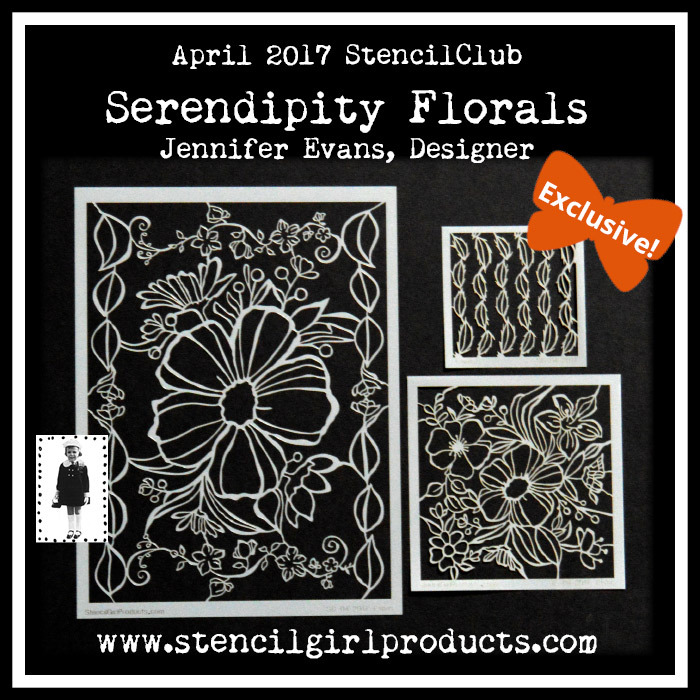 Want to see more of Jennifer Evan's stencils? Head HERE.